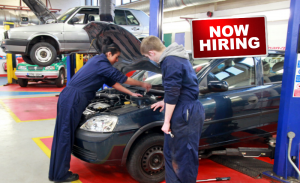 We’re looking for an enthusiastic 1st Year Apprentice Motor Mechanic to join the team here at Cork Auto Services. This is an exciting opportunity for you if you have a keen interest to get started in the auto services industry as a motor mechanic. If you enjoy being part of a dynamic team , if you are reliable, adaptable and interested in training in a leading, busy city centre workshop. This is a full time position available to start immediately. Your day is from 9 am to 6 pm, Monday to Friday, so no weekend work.